Software industry trends such as software-as-a-service (SaaS) and Agile development methodologies have dramatically impacted the software escrow industry and resulted in a reinvention of how the software escrow services are delivered and maintained over time to ensure value. Software escrow agreements are a necessary protection for enterprise software transactions and have been since the late 1970s. The typical scenario is that a large enterprise corporation is looking to gain some competitive advantage by automating some business process by taking advantage of new technology from an emerging software or technology company. They recognize that the software company is unproven and may even be operating in an unprofitable or venture-funded state. The software escrow agreement helps end-users rationalize the risk by providing them with access to source code, build instructions and other documentation so that the end-user could recreate the licensed software or technology even if the software company should go out of business. Traditionally, software companies used “waterfall” software development methods which meant that major software upgrades were released on a scheduled basis typically bi-annually or annually. Often times, major releases of new versions of software trigger required an additional purchase by the end-user to obtain the new features and functionality. Waterfall development methodologies at that time were typically slower, much more expensive and new functionality could only be added every year or two. Intense competition in the software industry as well as the shift to software-as-a-service by enterprise end-user organizations led to software companies trying to push out new functionality more frequently. In addition, these updates are now typically included in the monthly or annual subscription price As software companies and software as a service (SaaS) companies in particular become more prevalent, software developers in many cases switched to an “agile” method where releases of new functionality and features are released far more frequently, in same cases weekly. A CIO Magazine article dated 2013, referenced a survey by VersionOne where 84% of software developers polled confirmed that they are using agile development methods. Software escrow agreements typically required updates to the escrow deposit upon a material update to the software. Considering waterfall development methodologies this meant that escrow agents typically received 2- 3 updates to the escrow deposit materials each year. This frequency of updating sufficed because the underlying source code of the application that was used by the end-user was only materially changed one to two times per year. Thus, if the beneficiary filed for an escrow release they were likely to get the most recent source code. However, the shift to agile development and the rapid deployment of new technologies means that source code changes far more often and in some cases even weekly or daily. As a result, the outdated software escrow depositing frequency of 2-3 times per year in most escrow agreements virtually guarantees that the escrow deposit materials will be outdated. PRAXIS recognized this trend early on and in 2016 created a way to connect directly to a software developer’s source code archival systems such as GitHub, bitbucket, Microsoft TFS and other common code archival systems. 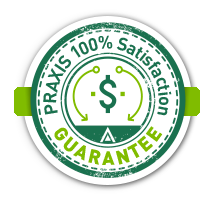 This direct conductivity allows PRAXIS to sweep for changes to the source code and other documentation on a weekly or more frequent basis to dramatically increase the quality of the escrow deposit materials and virtually eliminated the idea of outdated escrow materials. The rapid deployment of new features and functionality that make agile development popular among software companies and end users alike made traditional escrow depositing practices obsolete. Just like our clients, software escrow providers must embrace technological advances to improve the quality and value of their services.